Постер не официальный, заменим, как будет. О чем: О любви американской медсестры-идеалистки и турецкого офицера. Все это происходит во время первой мировой войны. Начало обсуждения в разделе Новости: Новый фильм с участием Джоша Хартнетта- "Горы и камни"
’The Ottoman Lieutenant’’, had a shooting crew of 650 people and 2400 extras. The Ottoman Lieutenant is a love story between an idealistic American nurse and a Lieutenant from the Ottoman Imperial Army. The Ottoman Lieutenant was filmed at Barrandov Studios in Prague and in various exterior locations in Prague and the Czech Republic. Sets were constructed on a 300,000 square meter lot at Barrandov Studios. Новые кадры из фильма "Горы и камни"
В ближайшее время фильм "The Ottoman Lieutenant" должен выйти на экран! Компания CAA ( САА), занимающаяся производством и прокатом, завершает переговоры по вспомогательным и международным планам выпуска фильма "The Ottoman Lieutenant". EXCLUSIVE: Stephen Brown’s Y Production just sealed a distribution deal with Mark Urman’s Paladin for the war epic The Ottoman Lieutenant, likely the first movie to look at those on the other side of World War I. The film will be released for an Oscar-qualifying run in December before going wide in February of 2017. 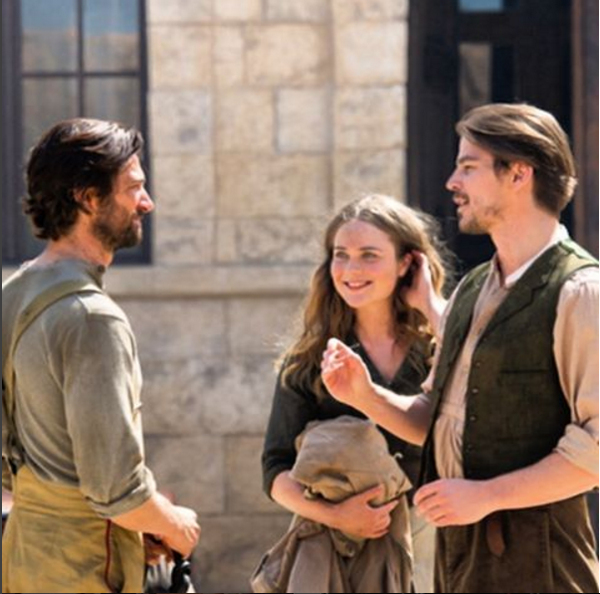 Starring, Michiel Huisman (Game of Thrones, Age of Adeline), Hera Hilmar (Anna Karenina), Josh Hartnett and Ben Kingsley, the film was lensed at the famed Barrandov Studios in Prague (which recently suffered losses in a fire). Other locations were in the Czech Republic and in Turkey. The film’s logline: “a strong-willed woman (Hilmar), who, frustrated by ongoing injustice at home, leaves the United States after meeting Jude, an American doctor (Hartnett) who runs a remote medical mission within the Ottoman Empire — a world both exotic and dangerous, and on the brink of what is about to become the first World War. There, she finds her loyalty tested to both Jude and the mission’s founder (Kingsley) when she falls in love with their perceived enemy, a lieutenant in the Ottoman Imperial Army (Huisman). With invading army forces at their doorstep, and the world about to plunge into all-out war” she must make a decision. 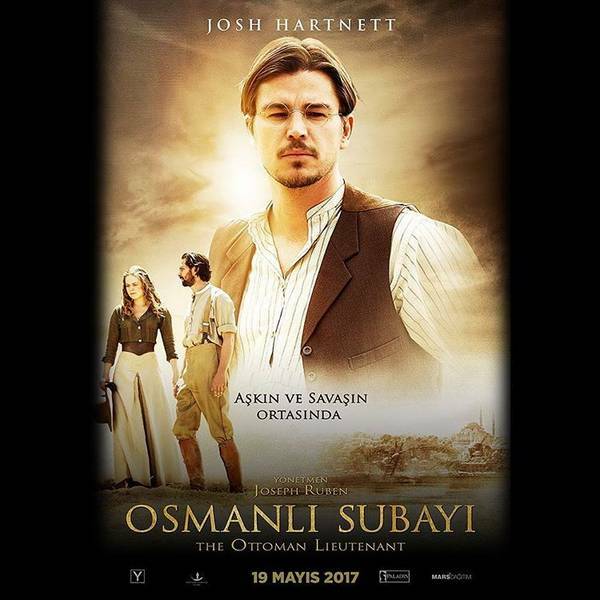 The Ottoman Lieutenant is directed by Joseph Ruben (Sleeping with the Enemy) from a screenplay by Jeff Stockwell (Bridge to Terabitha). It is a Y Production in association with Eastern Sunrise Films and produced by Stephen Joel Brown. CAA negotiated the domestic distribution deal while ancillary and international release plans are now being finalized. Beautiful Josh! I want a movie soon! 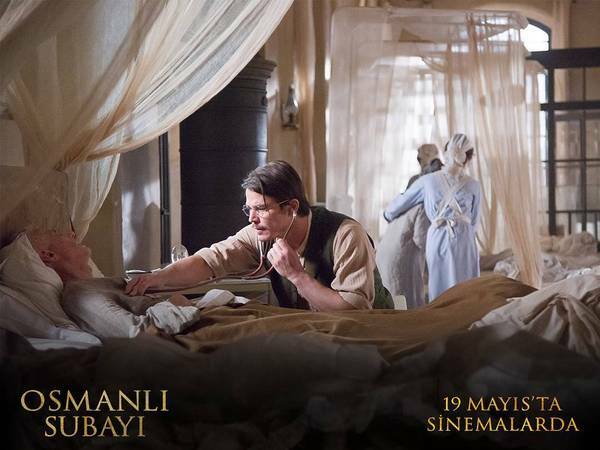 The movie is based on a love story between an idealistic American nurse and an Ottoman lieutenant. 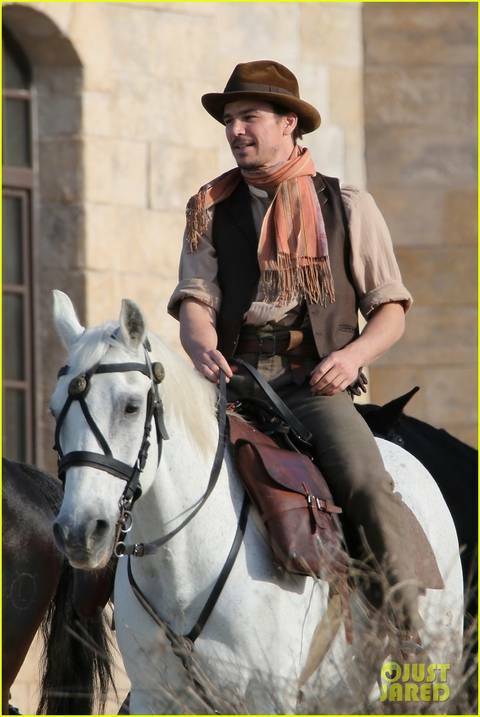 Michiel Huisman on set during shooting of The Ottoman Lieutenant. World War I doesn’t get nearly as much cinematic attention as World War II. Rarer still are World War I films that follow the events along the Eastern Front. The new romantic war drama The Ottoman Lieutenant (watch the exclusive teaser above) explores the battle line drawn between the Russian Empire (one of the Allies) and the Ottoman and German empires (the Central Powers). 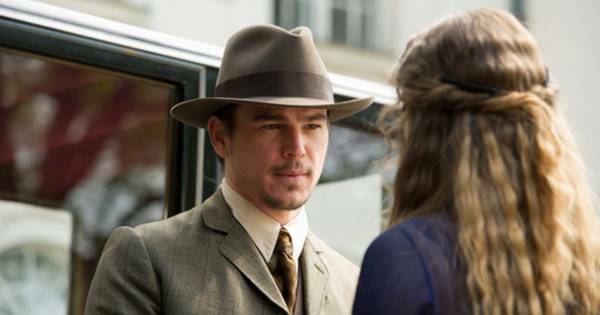 The story is told through the eyes of Lillie (Anna Karenina‘s Hera Hilmar), a determined American who ventures overseas to join Dr. Jude (Josh Hartnett) at a remote medical mission in the Ottoman Empire (now Turkey). 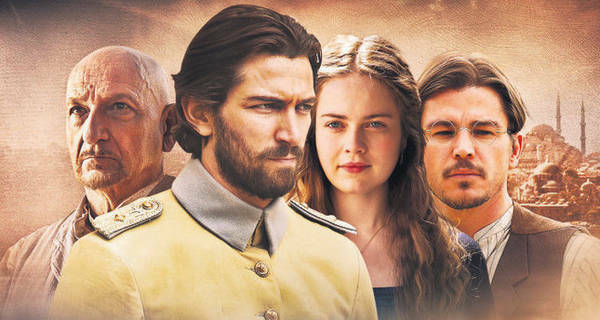 However, Lillie soon finds herself at odds with Jude and the mission’s founder, Woodruff (Ben Kingsley), when she falls for the titular military man, Ismail (Game of Thrones and Orphan Black star Michiel Huisman) — just as the war is about to erupt. Directed by Joseph Ruben (Sleeping With the Enemy, The Forgotten) from a script by Jeff Stockwell (The Dangerous Lives of Altar Boys), The Ottoman Lieutenant opens in 2017. Премьеру фильма The Ottoman Lieutenant обещают в феврале 2017 года! 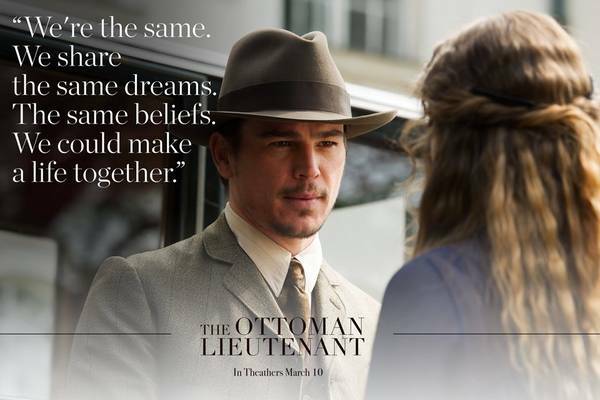 “The Ottoman Lieutenant” is the first movie to explore the eastern front of World War I, and tells the story of a beautiful, strong-willed woman (Hera Hilmar, “Anna Karenina,” “DaVinci’s Demons”), who, frustrated by ongoing injustice at home, leaves the United States after meeting Jude, an American doctor (Josh Hartnett, “Penny Dreadful,” “Black Hawk Down,” “Pearl Harbor”) who runs a remote medical mission within the Ottoman Empire — a world both exotic and dangerous, and on the brink of what is about to become the first World War. 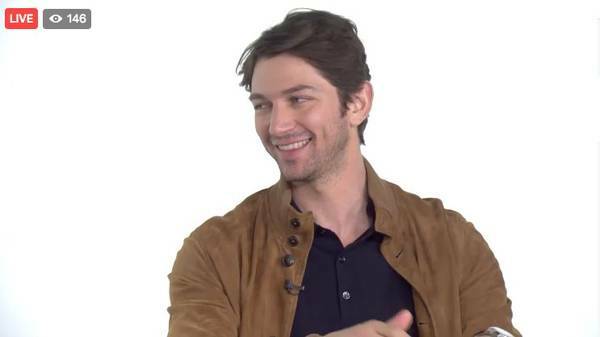 There, she finds her loyalty to Jude and the mission’s founder, (Ben Kingsley, “Gandhi,” “Schindler’s List”) tested when she falls in love with a lieutenant in the Ottoman Imperial Army (Michiel Huisman, “Wild,” “The Age of Adaline,” “Harley and the Davidsons,” “Game of Thrones”). Now, with invading army forces at their doorstep, and the world about to plunge into all-out war, she must decide if she wants to be what other people want her to be, or to be herself. Фильм, как и обещали, будет представлен для отбора в Оскаровскую комиссию в этом декабре, а премьера состоится в феврале 2017. “You want to be a nurse here?” “You need nurses don’t you?” “This is no place for a woman.” ‘The Ottoman Lieutenant’ is a love story between a beautiful, strong-willed woman, an idealistic American nurse who, frustrated by ongoing injustice at home, leaves the United States after meeting Jude, an American doctor who runs a remote medical mission within the Ottoman Empire, and a Turkish officer. “You have your mission doctor and I have mine.” When to world goes to war the most dangerous place to be is in love. 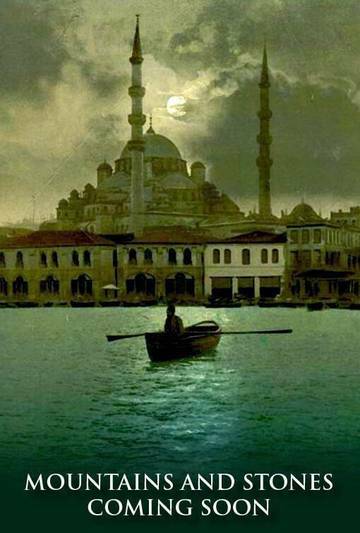 ‘The Ottoman Empire’ is a both exotic and dangerous, and on the brink of what is about to become the first World War. There, she finds her loyalty to Jude and the mission’s founder tested when she falls in love with their perceived enemy, a lieutenant in the Ottoman Imperial Army. Now, with invading army forces at their doorstep, and the world about to plunge into all-out war, she must make a decision if she wants to be what other people want her to be, or to be herself. The epic war set drama is the first movie to look at those on the other side of World War I. 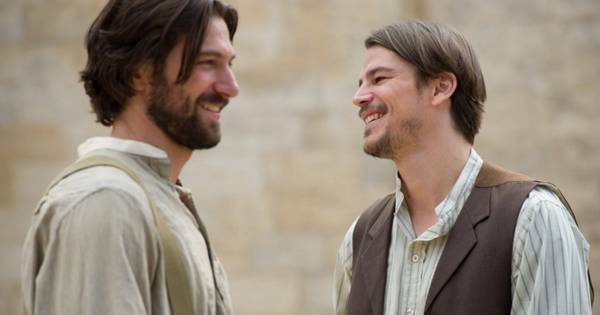 Directed by Joseph Ruben and written by Jeff Stockwell, the film stars Michiel Huisman, Hera Hilmar, Josh Hartnett and Ben Kingsley. ‘The Ottomon Lieutenant’ is set to be released for an Oscar-qualifying run in December 2016, and will release widely in February 2017. В декабре уже идет ограниченный показ фильма, мировой прокат обещают в первом квартале 2017г. Дата премьеры фильма - 9 марта!!! И, ура! есть постер, первый! Обновление: Расширенный трейлер, много новых сцен! In 3 weeks, one woman must decide between her duty and her fate. 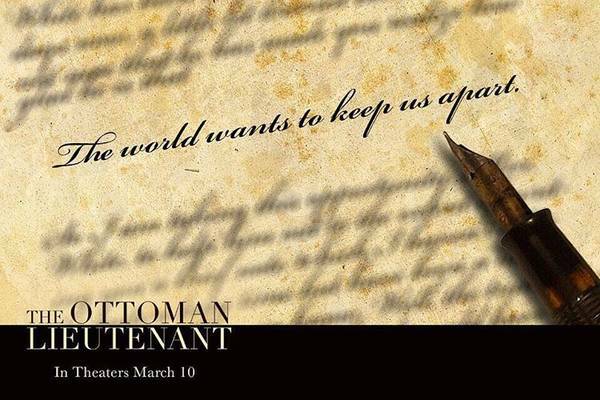 #TheOttomanLieutenant opens in theaters March 10th! Перед премьерой фильма создатели приготовили несколько приятных сюрпризов. Новый клип фильма The Ottoman Lieutenant! Love seeing these faces cover Times Square! The Ottoman Lieutenant opens in theaters THIS FRIDAY! Сегодня состоится мировая премьера фильма режиссера Джозефа Рубина "Горы и камни" (The Ottoman Lieutenant)! К премьере телеканал ЕТ предоставил нам эксклюзивное видео из фильма, момент конфликта героев Джоша Хартнетта (Джуд) и Михила Хаушмана (Исмаил). С ними, в кадре прелестная Гера Хилмарсдоттир. 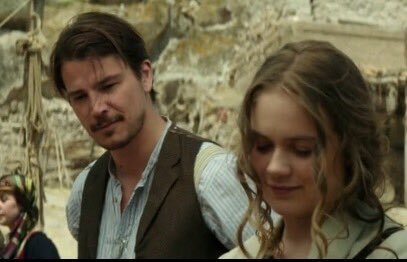 ET has your exclusive first look at The Ottoman Lieutenant. 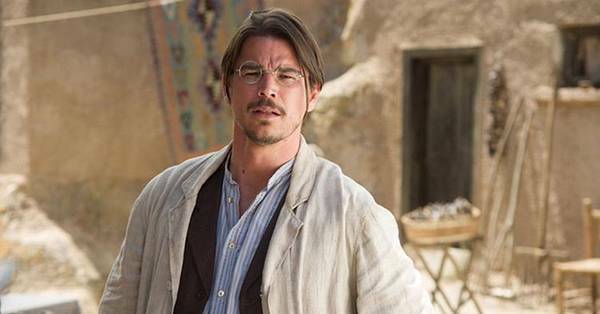 The film tells the story of Lillie (Hera Hilmar), an American nurse who moves across the world at the brink of World War I to work at a hospital run by an American doctor, Jude (Josh Hartnett), in the heart of the Ottoman Empire. 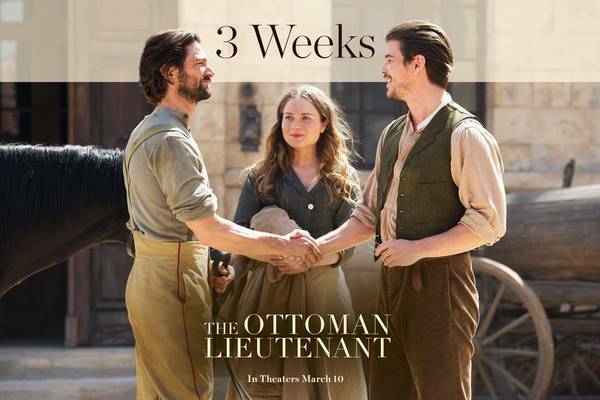 Lillie’s loyalty to Jude is tested when she falls for a lieutenant in the Ottoman Imperial Army, Ismael (Game of Thrones star Michiel Huisman). In ET’s first look, Lillie and Ismael come back to the hospital after a horseback ride, and Jude asks for a word with the Turkish officer. The exchange turns heated, as Jude confronts Ismael about his possibly inappropriate relationship with Lillie. The Ottoman Lieutenant hits theaters on March 10, 2017. Check out the full trailer for the movie below. Вам понравился удар почти в спину? Премьера фильма состоялась, рецензии разные, на Джоша не наезжают, но фильм большого впечатления не произвел. Мировая премьера фильма 'The Ottoman Lieutenant' состоялась 10 марта, ждем премьеру фильма в США и в Турции, 19 мая 2017! Очень жду и надеюсь на красную дорожку и на промо фотосессию!!! 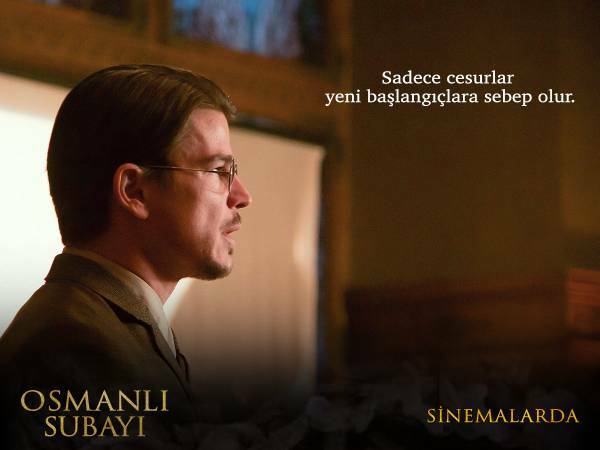 Рoster and trailer for the first Turkey-U.S. coproduction in Hollywood "The Ottoman Lieutenant," have been released. 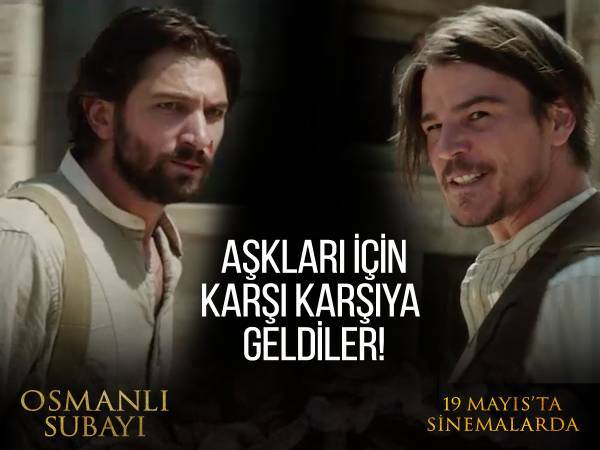 Scheduled for a May 19 premier, the movie is highly anticipated in the U.S. and Turkey, with a cast of Michiel Huisman, Hera Hilmar, Josh Hartnett, Oscar-winner Sir Ben Kingsley and Turkish stars Haluk Bilginer and Selçuk Yöntem. 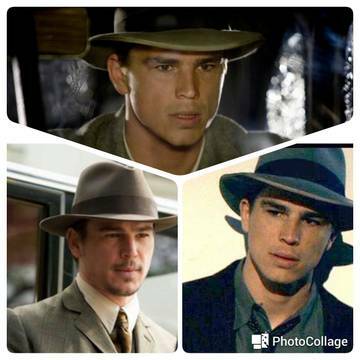 Co-produced by "Y Production," one of the leading names in international cinema and the Eastern Sunrise Film, the movie, with its "in the midst of love and war" slogan, tells the story of Lillie (Hera Hilmar) who becomes a nurse to honor her brother's memory and Jude (Josh Hartnett). The duo meets and then travels to Istanbul and later to Eastern Anatoliam, in a 60-day journey at the beginning of World War I in 1914. 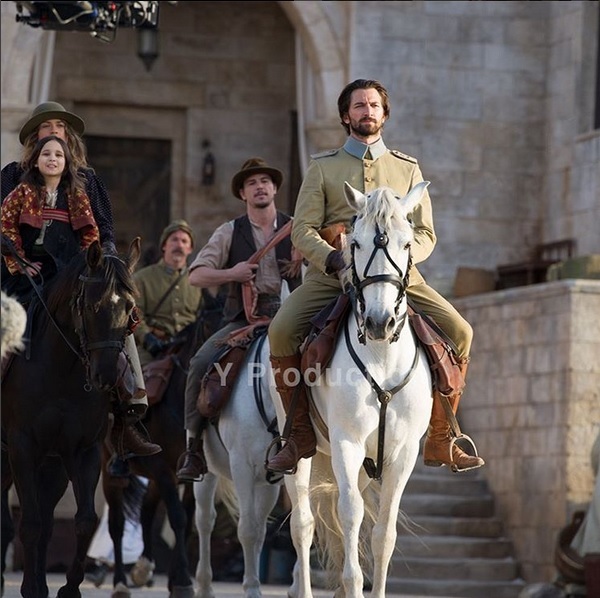 Melih Pasha (Selçuk Yöntem) sends Lillie to Easter with a Turkish soldier, İsmail (Michiel Huisman). 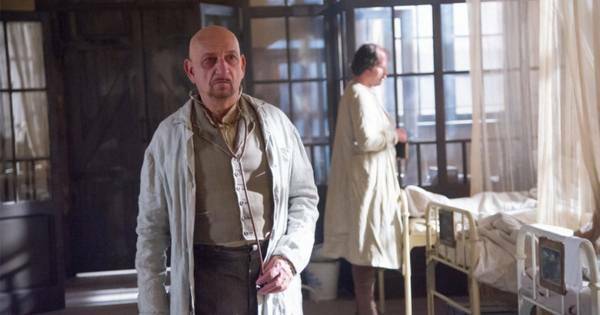 However, the head physician at the hospital she is stationed at, Woodruff (Sir Ben Kingsley) rejects her, saying the hospital was not suitable for a woman, and advices her to return. Meanwhile, Commander Halil Bey (Haluk Bilginer) has other reasons to reject her. The young woman, however, refuses and is torn in between two loves, under the shadow of an ongoing war. Everyone's lives turn upside down with the Russian invasion and uprisings of Armenian gangs. 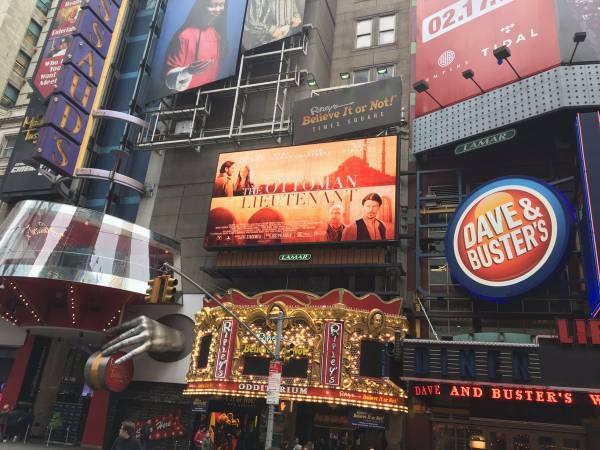 The film was shot at different locations in Istanbul, Cappadocia, Aksaray, Kayseri, Van, Niğde and Prague and will be out on May 19 in Turkey. If history was any guide, the director Terry George figured there’d be weirdness around his new film, “The Promise,” about the Armenian genocide. Sure enough, he was right. One of the actors, Daniel Giménez Cacho, said he was contacted before filming by a Turkish ambassador. In line with Turkey’s official stance, the diplomat insisted that the genocide, in which nearly 1.5 million Armenians were killed, had never occurred. After the movie’s premiere at the Toronto International Film Festival in September, it racked up 55,000 lowly one-star votes on the Internet Movie Database, which is quite something, considering only a few thousand people had actually seen it at the three public screenings. And then, six weeks before “The Promise” hit theaters this weekend came another film that shared uncanny parallels. 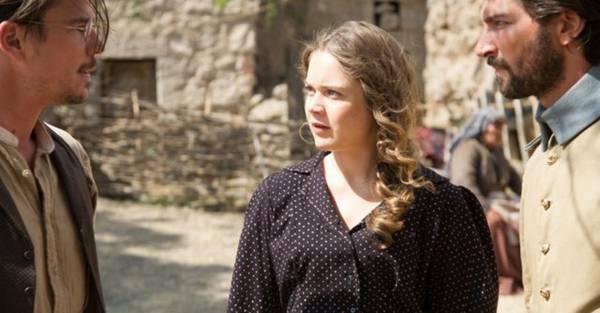 Like “The Promise,” “The Ottoman Lieutenant” hinges on a love triangle set in Turkey during the early days of World War I. 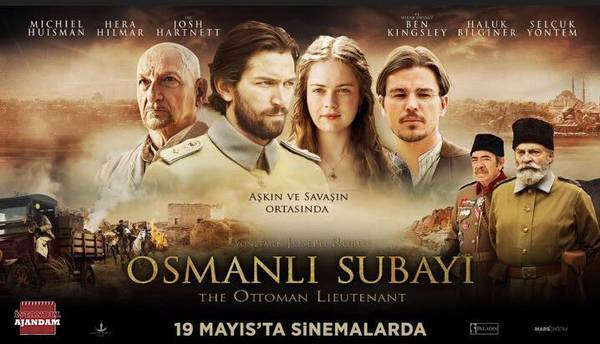 Unlike “The Promise,” “The Ottoman Lieutenant,” which stars Michiel Huisman and Josh Hartnett, was backed by Turkish investors and has been pilloried by critics for whitewashing historical events. The battle over these two new films represents just the latest front in Turkey’s quest to control the historical narrative. In 1915, Ottoman Turks, fearful that the restive Christian Armenian population would side against them in the war, began massacring Armenians and force-marching them to their deaths. The United Nations, the Roman Catholic Church, the European Parliament, historians and scholars have roundly recognized the atrocities as a genocide, the 20th century’s first. But Turkey has insisted that many people, both Turkish and Armenian, carried out — and bore the brunt of — wartime horrors, and that no concerted extermination effort existed. Turkey’s president, Recep Tayyip Erdogan, acknowledged in 2014 that Armenians had “lost their lives” and sent condolences to their descendants. But he implied that they were victims of a war in which all Ottoman citizens had suffered — rather than the victims of a genocide. 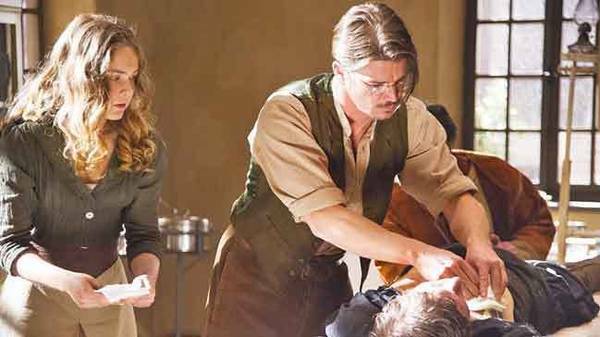 “The Ottoman Lieutenant,” which tells of a dashing Turkish officer who helps save imperiled Armenians — while carrying on with an American nurse — reinforces that debunked Turkish narrative, detractors say. The American Hellenic Council, calling for a boycott, said the film was plainly aimed at undercutting “The Promise,” and falsely painted the genocide as two-sided. “It’s a sort of mirror image of our film, but with a totally denialist perspective,” said Mr. George, adding that he suspected that the Erdogan government had a hand in the rival film. Yet as it turns out, there was bitter division among key players on “The Ottoman Lieutenant,” both during production and after. According to several people familiar with the project, Turkish producers oversaw the final cut, without the director’s knowledge. 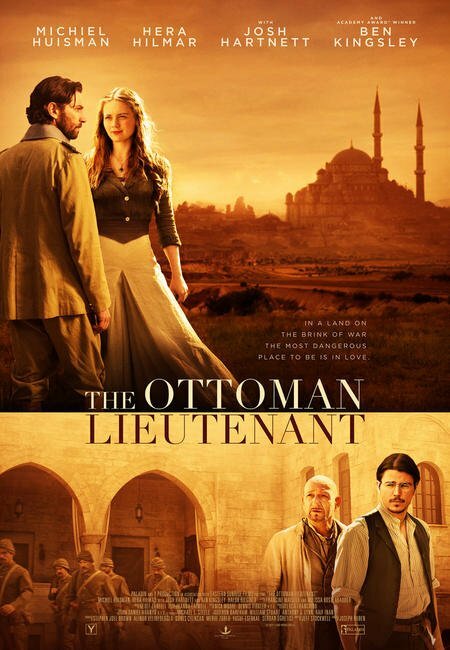 The people familiar with the project said that tensions emerged on the “Ottoman” set after producers pushed to minimize depictions of Turkish violence against Armenians. Several people who worked on the project felt that the final version butchered the film artistically, and smacked of denialism: Dialogue that explicitly referred to systematic mass killing had been stripped out. The director, Joseph Ruben, who refused to comment for this article, ended up doing no publicity for the film. The producers, distributor and lead actors in “The Ottoman Lieutenant,” which according to BoxOfficeMojo.com has taken in just $241,000 since its release in March, did not respond to repeated requests for comment. The struggles over the two films are the latest in a series of attempts by Turkish interests to absolve their country of responsibility for the genocide, efforts that go back decades and have extended to Hollywood. In the 1930s, MGM scuttled a plan to make a movie about the killings after Turkey exerted intense pressure on the State Department and the studio itself. When the Canadian filmmaker Atom Egoyan, who is of Armenian descent, was making “Ararat,” his 2002 film about the genocide, he was deluged with threats and told that Armenians in Turkey might be harmed as a result. An ultranationalist group later threatened Turkish theaters planning to show the film, resulting in canceled screenings. “The Promise,” which stars Oscar Isaac as an Armenian medical student and Christian Bale as an American journalist, was unfettered by studio pressures. The film’s financier was Kirk Kerkorian, the colorful Hollywood mogul and casino magnate, and the son of poor Armenian immigrants, who before his death in 2015 at 98, pledged $100 million toward the film, making it the biggest budget picture about the genocide yet. “He felt if we don’t shine a light, we’re doomed,” said Eric Esrailian, a lead producer with Survival Pictures, Mr. Kerkorian’s production company. Still, precautions were taken. Mr. George, whose credits include “Hotel Rwanda” (2004), said he ensured that “The Promise” was made under the radar, with no publicity. Production took place in Portugal, Malta and Spain, and there was tight security on the set. “I felt like it would be a useless trip and one that was potentially dangerous, frankly,” Mr. Berlinger said. It was in “Intent to Destroy” that the actor Mr. Giménez Cacho revealed that a Turkish ambassador had bombarded him with denialist propaganda, which Mr. Berlinger believes is part of a Turkish campaign to discourage people from tackling projects related to the genocide. Whether “The Promise” does well or not at the box office this weekend, it continues to garner attention. In the week leading up to its release, it racked up thousands more votes on IMDB.com. It’s at 126,000 votes and counting, largely split between one-star and 10-star ratings. And last week, Kim Kardashian West, arguably the world’s most famous Armenian-American, tweeted her support of the film, having visited Armenia in 2015 to highlight the genocide. There are no plans yet to release “The Promise” in Turkey. (“The Ottoman Lieutenant” will open there May 19.) Either way, Taner Akcam, a leading historian on the genocide and a professor at Clark University, said that officials there might characterize it as Armenian propaganda made with Armenian money, if they say anything at all. “Silence, this is their usual strategy,” he said. “The Promise” opens this weekend by design. Monday is the 102nd anniversary of the first stage of the genocide, when hundreds of Armenian intellectuals were arrested in Istanbul, a date Armenians worldwide commemorate each year. Только смелым новых начинаний. #OsmanlıSubayı в театре рядом с вами!